Mahekal Beach Resort is home to 800 feet of beautiful beach, sparkling turquoise waters and beautiful resort-style pools. Still, you can't come all the way to Riviera Maya without experiencing the area's illustrious entertainment and history. Our team will be happy to assist you during your stay, but we've put together the list below so you can begin planning your trip and get excited for Playa. 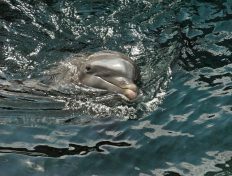 The program in Dolphin Discovery Riviera Maya Puerto Aventuras is especially designed to bring you and your family close to nature and discover plenty of information about the most tender and playful animals that always seem to be smiling-the dolphins. Your family will be able to enjoy a number of safe and fun activities especially designed for kids big and small. The Dolphin Royal Swim program is the most dynamic program, making it one of the most talked-about experiences. Our tender dolphins offer an array of aquatic activities for you and your family and friends. 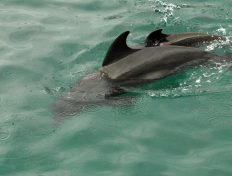 As you walk by the pier, you will notice how the dolphins follow you, waiting anxiously to play with you. They will win your heart before you even get into the water. If you want to enjoy adventure activities right in the heart of the Mayan Riviera, the Dolphin Swim Adventure in Puerto Aventuras, a beautiful, upscale marina and residential community resort, is the perfect Dolphin Discovery interactive swimming program for you. 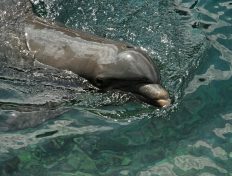 The dolphin and you will share many sensational and safe activities and establish a unique bond of trust. 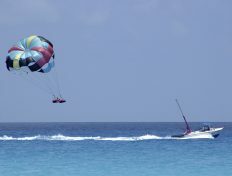 We offer an array of water sports available in 20, 30, or 60-minute intervals, including Parasailing, Jet Skiing, Kayaking, Paddle-boarding, or Banana Boating. 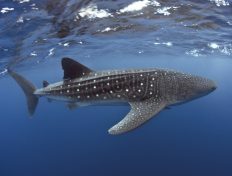 Swim beside the largest of all sharks and the largest fish: the whale shark. This is one of the most dramatic views of the ocean. The large size, distinctive patterns and its enormous mouth make it instantly recognizable and can be commonly observed swimming near the surface in tropical and subtropical waters around the world. Jour us for a private boat (25ft) tour to the beautiful coral reef at Inha Bay near Playa del Carmen for a fun and exciting snorkeling excursion that won't take up your whole day. Live a wonderful jungle and an ocean adventure! Discover in one day three extraordinary ecosystems of the Mayan World: we will dive into the turquoise waters of the Mexican Caribbean surrounded by exotic marine life (ocean inlet); explore an underground river in the middle of the jungle (underground cavern) and discover the mystical wonders of the Mayan sinkholes (cenotes). Akumal means "place of the turtles" in the Mayan language, and the name still rings true today. 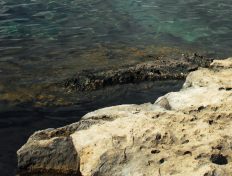 In Akumal, fresh rainwater trickles into the salty Caribbean Sea, creating a nutrient-rich environment that supports a wide variety of marine life, including sea turtles! 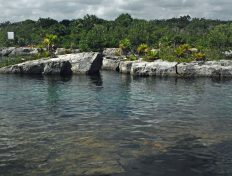 A top destination for snorkeling, Akumal is located between Playa del Carmen and Tulum.